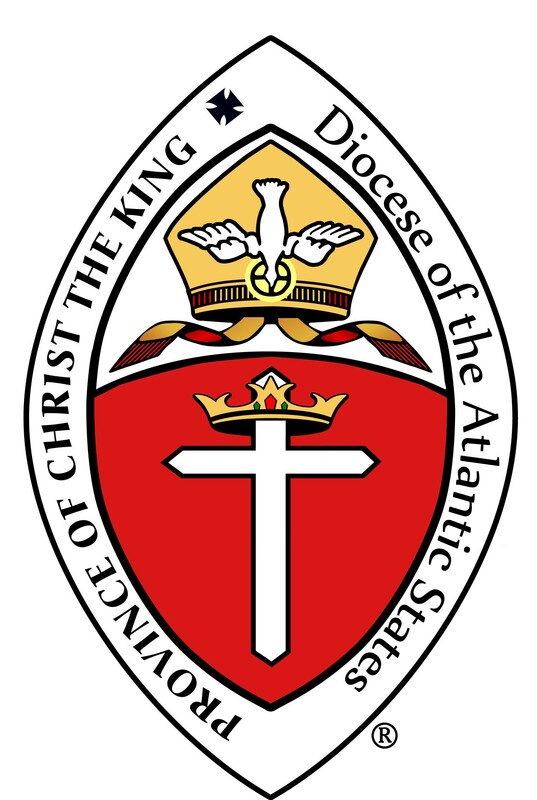 This letter contains the information for the 2018 Synod of the Diocese of the Atlantic States, to be held on Tuesday, May 15, 2018 through Friday, May 18, 2018, hosted by St. Alban’s Anglican Church in Lady Lake, Florida. All concerned are asked to review this information and make plans to participate. The Registration Fee is the same as last year: $175.00 per person (for both clergy and laity) and includes: Lunch on Wednesday and Thursday at the hotel, and a barbecue luncheon at St. Alban’s on Friday noon after the Pontifical Mass. It also includes dinner at the hotel on Wednesday evening and the Banquet at Red Sauce Italian Restaurant on Thursday night. Note that dinner on Tuesday night is “on your own”. A cash bar will be provided on Tuesday evening, Wednesday evening, and Thursday evening. You will receive one complimentary drink ticket at the Bishops’ Reception on Thursday night, compliments of the National ACW. We will be staying at the Waterfront Inn, 1105 Lakeshore Drive, The Villages, Florida, 32162. The hotel has a from the Orlando Airport (see Flyer included). The hotel is just a short distance from St. Alban’s itself for the Pontifical Mass on Friday. The hotel has several amenities, including a pool. All meetings will be held at the hotel. Please contact the hotel directly to make your reservations: call 352-753-7535 or 800-592-0774, and be sure to ask for the “Diocesan Synod Group Rate”. You will have a choice of 3 rooms: Standard Room for $109.00, Waterview Room for $119.00, or Waterview with Balcony for $129.00 (all plus tax). Breakfast is not included. You will need to book your room by April 15, 2018. Synod Registration will start on Tuesday afternoon, beginning at 3 PM at the hotel. That evening, there will be a “Happy Hour” with cash bar after Evening Prayer. Some of us are planning on going out to one of the local restaurants for supper together after Happy Hour. This is not included in your registration fee. Please feel free to join us, or make other arrangements, as you see fit. Wednesday, lunch will be provided at the hotel. We will have “Happy Hour” following Evensong, followed by Dinner at the hotel. You have your choice of Slow Roasted Prime Rib (served medium rare); Chicken Cordon Bleu (Chicken breast stuffed with ham, and swiss cheese topped with herbed cream sauce), or Sauteed Salmon Topped with Shrimp (hand cut grilled to perfection and topped with sauteed shrimp and a citrus Dijon sauce). Thursday, lunch will again be provided at the hotel, we will have the Bishops’ Reception following Evensong. Following the Bishops’ Reception, we will go to Red Sauce for the Synod Banquet. Following the Pontifical Mass on Friday at St. Alban’s, we will have a buffet lunch catered by Oakwood Smokehouse and Grill. The Registration Form for the Synod can be found on the Diocesan web page (http://www.apckdas.org/). You can scroll and click on “Synod Registration”.. For those of you who registered last year online, you will notice that it is very similar. Please fill out the online form for each person attending the Synod. If you are filling out the form for someone else, please be sure to fill in their e-mail address where it says “your e-mail” address, or else you will be the one contacted with their information. Please supply all information requested, especially your dinner choices for Wednesday. Also, please be sure to indicate which category you fall into: Clergy, Lay Delegate, etc. Parishes can mail the registration fee for all attendees at one time, or they can be mailed individually. Please mail the registration fees to St. George’s, making your check out to The Diocese of the Atlantic States. St. Alban’s is looking forward to hosting the Seventh Annual Synod of our Diocese. Do not hesitate to contact the Synod Registrar (john.schneider@stgeorgesanglican.org) if you have any questions or need assistance in making final plans. You can also phone him at 919-247-7698.